Preface It is indeed a matter of great pleasure that the Orissa Chair in Rashtriya Sanskrit Vidyapeetha, Tirupati is bringing out a bibliography on Shri Jagannatha and Sri Chaitanya Maha Prabhu. 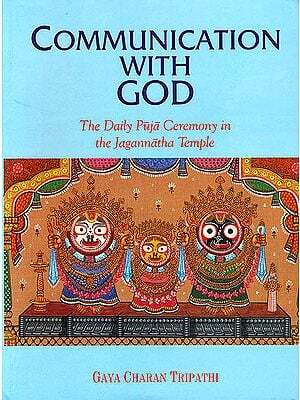 One of the main objectives of the Orissa Chair established in Rashtriya Sanskrit Vidyapeetha, Tirupati with the munificent funds provided by the Government of Orissa, is not only to conduct intensive research on the issues related with Shri Jagannatha, the philosophy of Sri Chaitanya Maha Prabhu and Sri Jayadeva’s works and publish the findings, but also to facilitate the research activity by providing necessary information and material to the researchers. It is needless to say that the publication of the bibliography is the first step in this direction. Although the present edition includes contents only on Shri Jagannatha and Shri Chaitanya Maha Prabhu, I am sure the Chair will take necessary steps to bring out a bibliography on Shri Jayadeva also in a near future. I heartily congratulate the Co-ordinator Dr. J. Ramakrishna and also the Research Associates involved in the preparation of the bibliography. Introduction The Orissa Chair in Rashtriya Sanskrit Vidyapeetha was established with the munificent grant of Rs. 50 lakhs kindly sanctioned by the then Chief Minister of Orissa, Vidyavachaspati Sri Janaki Ballav Patanaik on behalf of the Government of Orissa. The late Prof. S.B. Raghunathacharya, the then Vice-Chancellor of the Vidyapeetha was instrumental in persuading; the Government of Orissa to established the chair. Prof. Ramaranjan Mukharjee, Former Chancellor of the Vidyapeetha played a key role in getting the chair established. The chair was inaugurated on 15th October, 2000 by Hon’ble Justice Sri Ranganatha Mishra, Former Chief Justice of India and Chairman, Central Sanskrit Board. The Orissa Chair was established in the Vidyapeetha with the aim of carrying out intensive and extensive research and to bring out Publications on three important aspects of not only the culture of Orissa but that of India also viz Lord Sri Jagannatha and his cult, Sri Chaitanya and his Philosophy, and Sri Jayadeva and his literature. As a first step in the direction of making know to the world the hidden treasures of Utkala, the Vice Chancellor of the Vidyapeetha Prof. D. Prahlada Char and the then Co-ordinator of the chair, Dr. R. Devanathan decided to prepare bibliography on these aspects to facilitate research. The then Research Associates employed in the chair, Sri Kailash Chandra Dash and Sri Kailash Chandra Nanda were deputed to Orissa to collect details of various books on the three aspects mentioned above. But this edition contents only two area i.e. Sri Jagannatha and Sri Chaitanya. Both the scholars collected relevant materials from various University Libraries, Harekrishna Mahatab State Library and the libraries of Orissa within a limited time at their disposal. The present bibliography is a descriptive bibliography and has two parts. The first part is the main body of the bibliography and contains various details of the books. The second part contains indices. In the first part, the titles of the books are arranged in alphabetical order and numbered serially. In presenting the information the following order is followed. i). Under the category of ‘Author’, the name of the original author or translator or editor has been given. ii). In the same manner, under the category of ‘Work’, whether it is an original work or translation or an edited work is mentioned. iii). 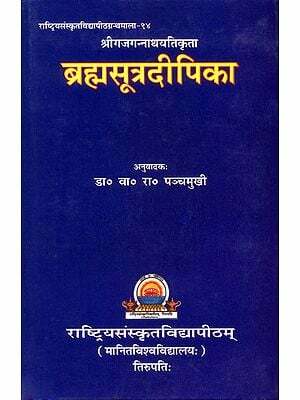 Under the category ‘Yoga of Publication’ some of the years mentioned are in Christian Era and some are according to the Bengal Era (Bangabda) and Goura Era (Gourabda) followed by the people in Bengal. iv). Under ‘Nature of Work’, a brief description of the work has been given highlighting the main argument presented in the work. v). The bibliography includes titles from Oriya, Sanskrit, English, Bengali and Telugu languages. vi). Wherever any details of the work is not available, it is indicated as Not Mentioned. The second part consists two types of indices. Title Index and Author Index. These indices are arranged in alphabetical ordered and are numbered ina series. The bibliography does claim to be an exhaustive one, but earnest attempts have been made to include as many works as possible.